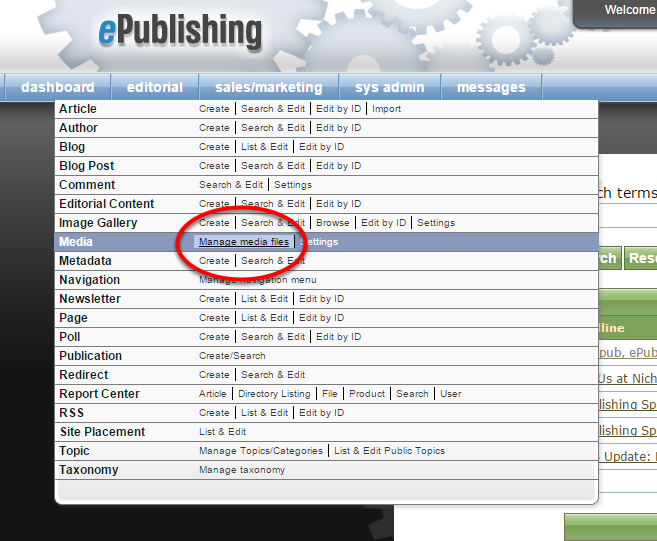 ePublishing Knowledge BaseePublishing Knowledge BaseePublishing Knowledge Base Creating Image Galleries, Videos, Podcasts, and Downloadable FilesHow do I access the Media Manager? 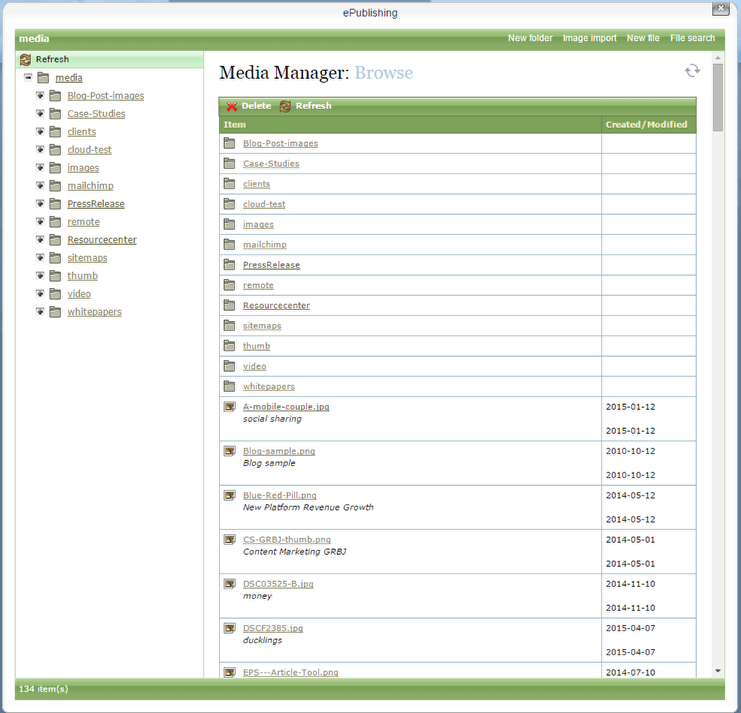 The ePublishing Media Manager holds all of your images, videos, audio files, PDF files and other media you use on your website. You may upload new files or edit the properties of existing ones within the Media Manager. 1. Open the Media Manager from your dashboard under Editorial. 2. When editing an article, blog post, product description, page or other content, you may access the Media Manager from the WYSIWYG editor to place images or other files within your content. Zoom: 2. When editing an article, blog post, product description, page or other content, you may access the Media Manager from the WYSIWYG editor to place images or other files within your content. Learn how to insert an image into an article or blog post: How do I insert an image into an article or blog post? Next: How do I find remote files I added from YouTube, corporate digital asset management servers and other locations?